Secondary driving controls, fixed or swivelling and quick-release, multifunction device with 7 buttons activating up to 12 functions. Can your driving aids be installed in a car with a manual gearbox? No. All SOJADIS Équipement electronic systems that offeracceleration, braking or hand control solutionsare installed in automatic vehicles. Can your aids be fitted in all automatic vehicles? Our disabled driver aids are designed and developed to be adaptable to as many makes and models of automatic vehicles as possible. However, depending on the features and constraints of each vehicle, the driving aid might sometimes be incompatible with certain models. That’s why, as soon as they come on to the market, we test new vehicles’ compatibility with our devices so that we can offer you the widest choice. How can I find out if my vehicle is compatible with one of your driving aids? Easy, just get in touch! Call us or send us your vehicle/driving aid compatibility request by email. We will answer precisely and promptly. Will my vehicle still be covered under the manufacturer’s warranty if I add a SOJADIS Équipement driving aid? Yes! All SOJADIS Équipement electronic solutions are installed without intruding in the vehicle’s central electronic system. It is this expertise that allows our company to be accredited, our driving aids to be certified and SOJADIS-adapted vehicles to be always guaranteed by the manufacturers ! Will installing a SOJADIS driving aid affect my vehicle’s performance? Not in the least. For the same reasons that enable our driving aids to be certified by the manufacturer (cf. question ci-dessus) SOJADIS Équipement driving aid solutions are completely “transparent” as far as the vehicle’s central system is concerned. Our disabled driver aids cannot therefore negatively impact the performance of your car. I already have an adapted car fitted with a SOJADIS driving aid. Can I remove it and fit it in another vehicle? Yes, once the compatibility of your current driving aid and your future vehicle has been checked and approved. Can someone else (able-bodied) drive my adapted vehicle? Yes. 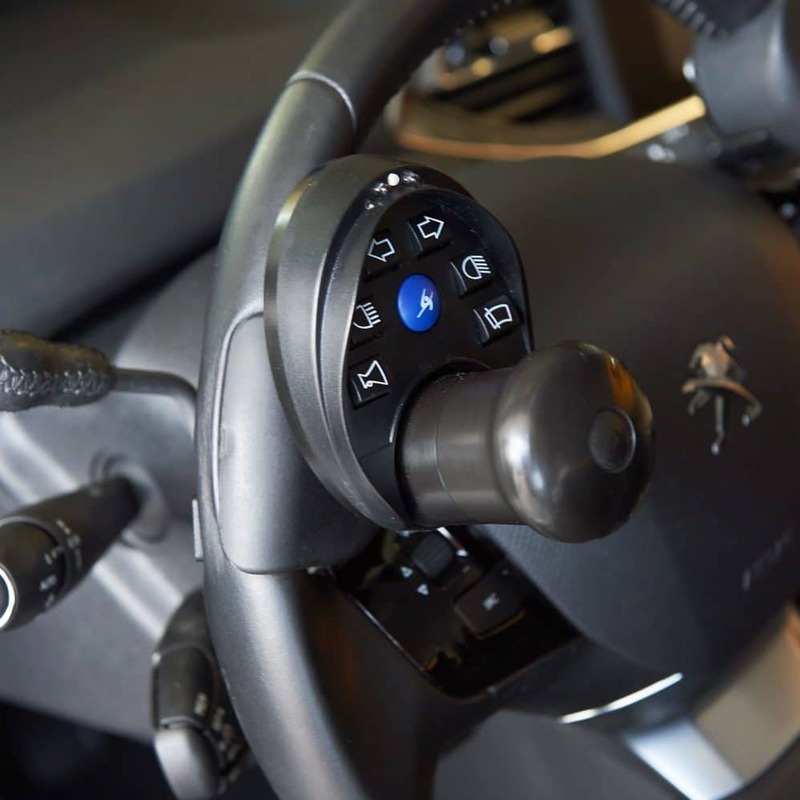 All the electronic driving aids produced by SOJADIS Équipement are designed for conventional or adapted driving. Ouracceleration and braking systems are activated by the driver on starting the car. Acceleration cuts out when the brakes are applied, the accelerator pedal is deactivated and the original configuration resumes when the engine stops. Our central control systems allow the original controls to remain active. In addition, some of our devices (COMDIS, STOPDIS, ACCELBIKE II, LEFTDIS, CERCLACCEL) can be easily dismantled.